Fr. Antonio Royo Marin, O.P. In the last article Fr. Royo Marin described the good characteristics and the defects of the Sanguine and Melancholic temperaments. Here he will look at the Choleric and Phlegmatic temperaments. The temperament of a person is a pattern of tendencies and inclinations which flow from the physiological structure or constitution of an individual. For that reason it is largely the result of hereditary factors. It is important to remember that it is different from character, which is the pattern of habits that are the result of education, personal effort and environmental factors. Temperament is the basis; character is the end result. And while the temperament as such is immutable, it can be modified by character. 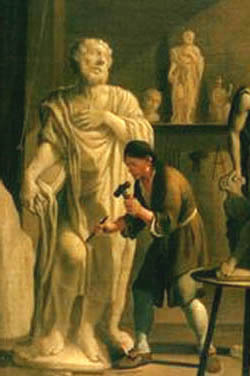 Consequently, temperament is the material out of which character is made, much in the same way as the clay, marble or wood is the material out of which a particular statue is fashioned. It is the character that gives the formal distinction to the personality. Persons of a choleric temperament are easily and strongly aroused, and the impression lasts for a long time. Theirs is the temperament which produces great saints or great sinners. While all the temperaments can be utilized as material for sanctity, it seems that the largest number of canonized saints possessed a choleric temperament. Choleric persons are practical rather than theoretical. They are more inclined to work than to think. Inactivity is repugnant to them, and they are always looking forward to the next labor or to the formulation of some great project. Once they have set upon a plan of work, they immediately set their hand to the task. Hence this temperament produces many leaders, superiors, apostles. It is the temperament of government and administration. These persons do not leave for tomorrow what they can do today, but sometimes they may try to do today what they should leave for tomorrow. If difficulties or obstacles arise, they immediately set about to overcome them. Although they often have strong movements of irascibility and impatience in the face of problems, once they have conquered these movements they acquire a tenderness and sweetness of disposition that are noteworthy. 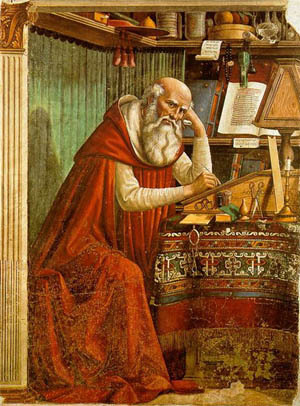 The saints who possessed a choleric temperament are numerous, but we shall mention only St. Paul, St. Jerome, St. Ignatius Loyola, St. Francis de Sales. The tenacity of the choleric temperament sometimes produces the following evil effects: hardness, obstinacy, insensibility, anger and pride. If choleric persons are resisted, they may easily become violent, cruel, arrogant, unless the Christian virtues moderate these inclinations. If defeated by others, they may nurture hatred in their hearts until they have obtained their vengeance. They easily become ambitious and seek their own glory. They have greater patience than do the sanguine, but they may lack delicacy of feeling, are often insensitive to the feelings of others, and therefore lack tact in human relations. Their passions, when aroused, are so strong and impetuous that they smother the more tender emotions and the spirit of sacrifice which springs spontaneously from more sympathetic hearts. Their fever for activity and their eagerness to execute their resolutions cause them to disregard others, to thrust all impediments aside, and to give the appearance of being heartless egoists. In their treatment of others they sometimes display a coldness and indifference which reaches the point of cruelty. The only rights which they acknowledge are the satisfaction and attainment of their desires. It is evident from the foregoing that, if the choleric person pursues the path of evil, there is no length to which he will not go in order to achieve his goal. Choleric persons can be individuals of great worth if they succeed in controlling and guiding their energies. They could arrive at the height of perfection with relative facility. In their hands even the most difficult tasks seem to be brought to an easy and ready solution. Therefore, when they have themselves under control and are rightly directed, they will not cease in their efforts until they have reached the summit. They must be taught to keep themselves under the reins of self-mastery, not to act with precipitation, but to mistrust their first inclinations. Above all, they need to cultivate true humility of heart, to be compassionate to the weak and the uninstructed, not to humiliate or embarrass others, not to exert their own superiority, and to treat all persons with tenderness and understanding. In a word, they should be taught how to be detached from self and to manifest a generous love toward others. The phlegmatic is rarely aroused emotionally, and if so, only weakly. The impressions received usually last for only a short time and leave no trace. he has a great deal of common sense and mental balance. He does not possess the inflammable passions of the sanguine temperament, the deep passions of the melancholic temperament, or the ardent passions of the choleric temperament. In his speech he is orderly, clear, positive and measured, rather than florid and picturesque. He is more suited to scientific work which is the fruit of long and patient research and minute investigation than to original productions. He has a good heart, but it seems to be cold. He would sacrifice to the point of heroism if it were necessary, but he lacks enthusiasm and spontaneity because he is reserved and somewhat indolent by nature. He is prudent, sensible, reflexive and works with a measured pace. He attains his goals without fanfare or violence because he usually avoids difficulties rather than attacking them. Physically the phlegmatic is usually of robust build, slow in his movements, and has an amiable face. 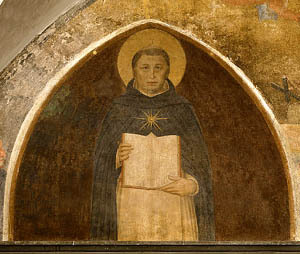 St. Thomas Aquinas seems to have possessed the best qualities of the phlegmatic temperament. Their slowness and calmness cause these persons to lose many good opportunities because they delay so long in putting works into operation. They are not too interested in events that take place around them, but rather tend to live by and for themselves, almost to the point of egoism. They are not suitable for government and administration. They are not usually drawn to corporal penances and mortification, as St. Teresa points out, and there is no fear that they will kill themselves by penance and self-abnegation. In extreme cases they become so lethargic and insensible that they become completely deaf to the invitation or command that would raise them out of their stupor. The phlegmatic can avoid the bad effects of his temperament if he is inculcated with deep convictions and if he demands of himself methodical and constant efforts toward greater perfection. He will advance slowly, to be sure, but he will advance far. Above all, he must not be allowed to become indolent and apathetic, but should be directed to some lofty ideal. He, too, needs to gain control of himself, not as the choleric, who must restrain and moderate himself, but to arouse himself and put his dormant powers to good use. Having seen a brief description of the four basic temperaments, we repeat that none of these temperaments actually exists in a "pure" state. The reader himself may be aware that the complete portrait of his own temperament has not been found in any one of the four temperaments but that he possesses characteristics of several. This explains to a large extent why there are so many different opinions and theories in psychology on the question of temperaments. Nevertheless, each person will exhibit sufficient predominant qualities of a given temperament so that he can be classified under that particular type. If we were to attempt to delineate the perfect temperament, we would select the best qualities of each temperament, taking care that they are not mutually exclusive. Thus we would take from the sanguine his sympathy, generous heart and vivacity; from the melancholic, the depth and delicacy of feeling; from the choleric, his inexhaustible energy and tenacity; and from the phlegmatic, his self-control, prudence and perseverance.